Srinagar, December 15 (Kashmir Voice): In occupied Kashmir, the puppet authorities have imposed restrictions in Srinagar and Islamabad town to prevent the proposed rally and public gathering of the Joint Resistance Leadership (JRL) in Islamabad town, today. 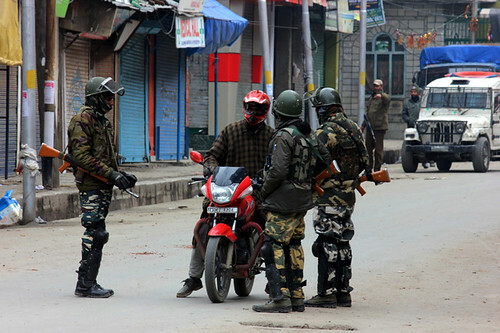 According to media sources, the Joint Resistance Leadership comprising Syed Ali Gilani, Mirwaiz Umar Farooq and Muhammad Yasin Malik has called for a massive public gathering at Lal Chowk in Islamabad town against the stepped up Indian state terrorism in the occupied territory. 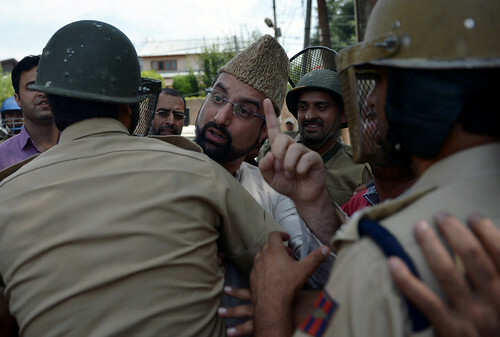 Srinagar, December 15 (Kashmir Voice): In occupied Kashmir, the Chairman of Hurriyat forum, Mirwaiz Umar Farooq has hailed the declaration by the Organisation of Islamic Cooperation (OIC) of East Jerusalem as the capital of Palestine. 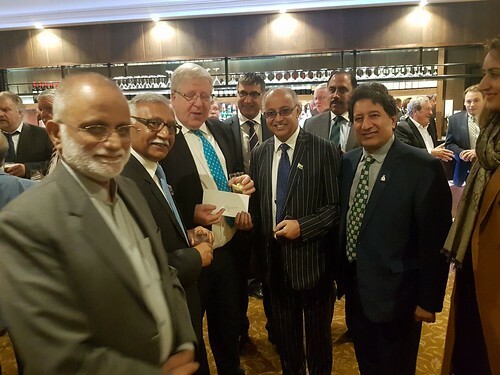 London, December 15 (Kashmir Voice): In London, the All-Party Parliamentary Group (APPG) on Kashmir in the British Parliament heard testimony regarding the human rights situation of Indian occupied Kashmir. 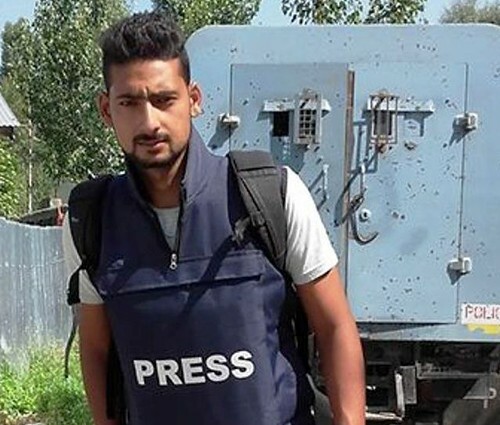 New Delhi, December 15 (Kashmir Voice): A special court of the Indian National Investigation Agency (NIA) heard the bail plea of Kashmiri photojournalist, Kamran Yousuf, in New Delhi. 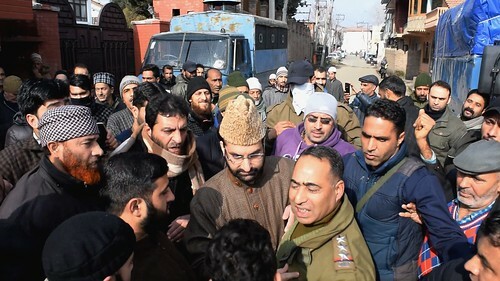 Srinagar, December 15 (Kashmir Voice): In occupied Kashmir, the Indian police arrested the Chairman of Hurriyat forum, Mirwaiz Umar Farooq, as he attempted to defy restrictions to march towards Islamabad town where the Joint Resistance Leadership (JRL) has called a public rally, today. 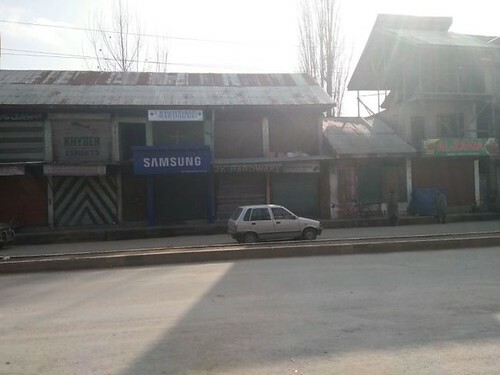 Srinagar, December 15 (Kashmir Voice): In occupied Kashmir, complete shutdown was observed in Magam town of Budgam district, today, to mark the anniversary of a youth killed by Indian troops a decade ago during protests.